After a childhood spent in Brussel, André Masson establishes himself in Paris in 1912. During the first World War, he is badly wounded at the Chemin des Dames. Therefore, all through his life, he kept a very deep repulsion towards war. In 1923, he becomes acquainted with the surrealist movement through Antonin Artaud, Miro, Georges Limbour and Michel Leiris. He then suscribed to the Surrealist Revolution. The following year, he happened to meet with the writer Georges Bataille, which marked the beginning of a faithfull friendship between the two men. 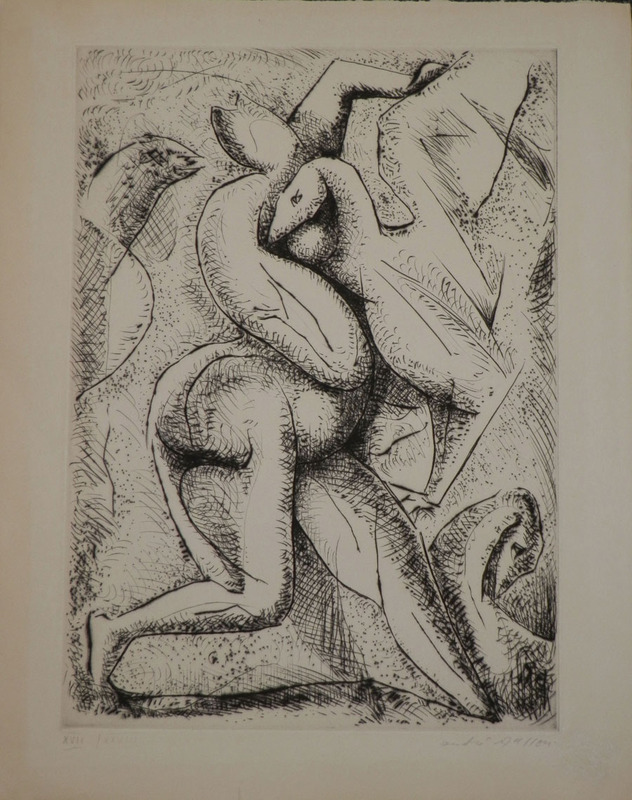 For a few years, André Masson illustrated the texts of his friend. In 1934, he left France for Spain, where he resided for two years. In 1940, in order to escape Worl War II, André Masson went to the United States, where he stayed until 1945. After coming back to France, he created numerous theatrical sceneries, which won him, in 1954, the National Art Award.